Are you a Powerball player? 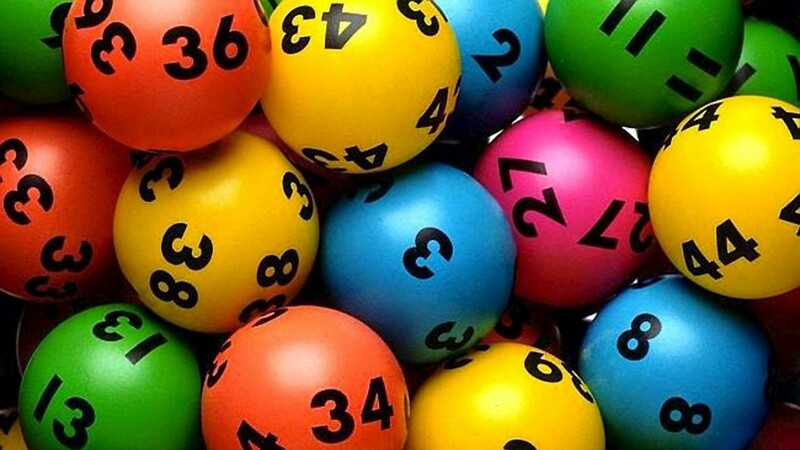 With Powerball, the odds of winning are approximately 1 / 175,000,000. You can go out and buy 1000 unique tickets, your odds of winning are about 1000 / 175,000,000. Nice odds, huh? Just buying a ticket is no guarantee of success. So how does this apply to us and trade shows and Trade Show ROI? At Larson & Associates, we often hear Companies complain that after exhibiting at trade shows that the ROI was not worth the effort or investment. The first question I ask is, “How many appointments with prospects did you have set up before the show?” Usually, the answer is none. Yep, ZERO, zilch, nada. They pay for a booth, their salespeople, inventory etc. and sit, waiting for the clients to roll in, just hoping that all these wonderful prospects with a need will drop by the booth during the show. Betting that the old “Build it and they will come” principle can work magic, whether or not they are familiar with your company beforehand, is just plain stupid. You are spending thousands of dollars to get lucky. Just like shooting for that Powerball, you might improve your odds a little but if you’re not committed and truly engaged with a working strategy beforehand then dumb luck is all you have. Not sure what the odds of success are with that, but I will bet that they’re not good. When our skilled strategists at Larson &amp; Associates ask these same companies what sales goals have they set for themselves during the show, the response is a mixture of “What are we supposed to be measuring?” and “We were more focused on our booth design and collateral.” Again they spent thousands of dollars without a plan. 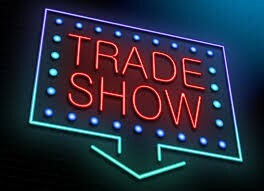 What follows is an outline of a pre-trade show strategy that we here at Larson &amp; Associates have designed and developed after many trade shows and demonstrations. Strategies which have resulted in our completely booking all open time slots for sales appointments (averaging 38 appointments over a 3 day show). These appointments are invaluable in the acquisition of highly qualified leads for both team members where they are able to sit down and discuss strategy. Go through the conference exhibitor list and highlight the companies that you would like to connect with at the show, regardless of whether you know someone there or not. Select companies that you think are a good fit to work with (yes power partners), that match your target audience, or that you simply want to understand better. For each wish list company, identify a contact from that company to reach out to for an appointment. First look within your CRM to see if you have any existing contracts with that company. If not, an option may be to peruse professional sites such as LinkedIn, although they are making it so you might need to have the premium account to do any real research as prospecting tool. Find companies that match your target by searching the company name and looking for employees with the correct job titles. You’re probably thinking, great, but how do I get their email and phone number? Research requires you to invest a bit of time (if you don’t have the time Larson &amp; Associates have people dedicated to doing research just like this) for finding contact information. But it will pay off greatly. Fact is, 78% of salespeople using social media outsell their peers, while it is a tool to help, Social Media will never be a replacement for Salesmanship. It’s not (note to self, write a paper on what Social Media is good for) LinkedIn, specifically, is responsible for more than 80% of a business’ social media leads. Here is where we start to hit on the entire show attendance list. Today 80% of leads take 20-40 “touches” to close if started from scratch, less if at a targeted industry trade show. There is no guarantee that you will reach your lead with every email, so repetition and careful timing are important. Timing: The best times to email are weekdays from 9:30-11:00 a.m. That lets them clean out the night time senders. Keep on track: and on target, for the upcoming show. Talk about your product or service, and why you should get together. This may require research beforehand about their strengths and areas of opportunity. Follow the data: Prioritize your follow-up emails using data from the previous email. With most emailing systems like the one we use, you can view open rates, click-through rates, and site revisits. This has made our sales process much more data-driven, strategic and very cost effective. Track your opens: Keep a record of how many times you reach out to a lead. Some leads may have more touches because of their responsiveness, so it’s important to manage multiple sales cycles as organized a manner as possible. Cold calling can be intimidating for salespeople. In 2007, it took 3.7 cold call attempts to reach a prospect. Today it takes 8. Now there’s much more opportunity to practice this skill! Refer to your emails: Beginning your sales outreach with email is a great tactic because you can use the email as a talking point in your call. The lead will have at least some awareness of your company or product ahead of time, which can help move the discussion forward. Say what you need to say: Be direct in telling the lead why you are calling. It’s important for them to know what you’d like to meet about. The last thing you want to do is waist any ones time. Have a plan B: You can’t win every time, but you don’t have to just throw your hands up and go. If they are not interested in having an appointment at the show, let them know you will be walking around and might just stop by their booth to say hello. If they are not attending the show at all, ask if there’s someone else from their company attending to meet with. 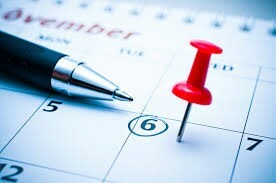 Make scheduling easy: If you think a lead is interested in your company, whether they have responded to you or not, list three time slots to meet with them and suggest a location. This skips a few steps in the back-and-forth of scheduling. Consider time zones: Make sure to note the correct time zone (the one the show is in) on your calendar invitation to avoid double booking by mistake. You want to put something in their hands and have it with a coupon for a special show gift if they come in with the card. To get better booth traffic you need to give them an incentive. Send out a mailer. There is no real magic in making a trade show successful. What it does take is hard work and planning, lots of planning, and commitment to strategy and the will to succeed. Without a doubt, the strategizing and the hard work can be very time-consuming. Time is not always an easy commodity to come by with business to run and obligations to meet you have to make the most and invest your resources wisely. Luck alone will always guarantee you a lousy ROI. Indeed planning and strategizing can be accomplished ‘in-house’ but for the times or projects when this is just simply not an option, remember Larson &amp; Associates, we are here to help!